We want to ensure your long weekend is a fun one. The best way is to have a great plan in place. Start by checking out our ROAD TRIP PACKING LIST post to see our list of the TOP 10 items you should make sure you pack for your next road trip. Now that you have everything in place it’s time to download a playlist for the trip. We have created one full of songs about driving and travel. Have a look at our ROAD TRIP PLAYLIST to see if you agree with our selections. We think it will help you chill out on the journey. While some times the road trip is about the journey, other times it’s about the destination. We have a great list of Ontario Tourist Attractions that might peak your interest. We would love to know which ones you have visited and which ones you plan to. 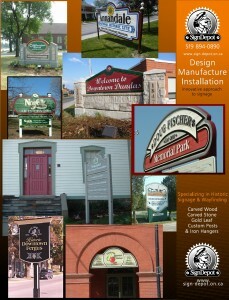 Perhaps you might even be interested in some of the Historic Sites in the picture below. Maybe a trip to the cottage is more your style. We have lots of info to ensure you have a fun time at the cottage. Hopefully our road trip lists above have helped you enjoy the trip to cottage country and now that you have arrived it is time to enjoy long weekend. Bird watching is great way to pass the time at the cottage. 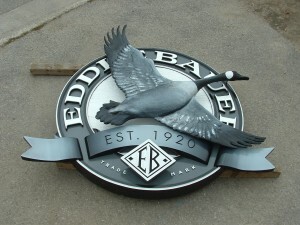 Learn about some of the more popular birds we have put on cottage signs by visiting our post about the NATIONAL BIRD PROJECT. Another great thing about spending time at a cottage is cooking over an open flame. You can see our list of recipes to try at your cottage or cabin by checking out our CAMPFIRE RECIPE list. Are you having guests join you at the cottage? 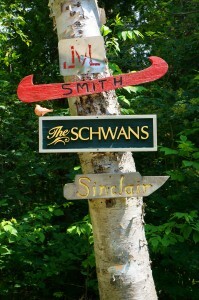 Make sure they can spot your site with an address marker or family cottage sign. We hope these ideas help with your long weekend! 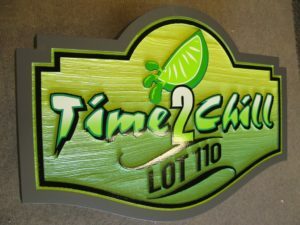 Please send an email to sales@sign-depot.on.ca with the size, shape, text an graphics you would like on it and I can quote it for you. We are looking for sign for our cottage…. 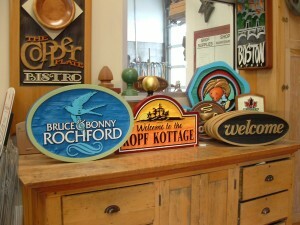 Please email sales@sign-depot.on.ca along with a pic of the piece and we can discuss how this could be incorporated.